Dr. Feld has more than 40 years of dental experience and over 4000 hours of graduate study. He graduated from USC Dental School with honors and formerly taught at the USC Oral Surgery Department for five years. He has completed his residency at the Institute for Advanced TMJ, Sleep Studies and Aesthetic Dentistry. 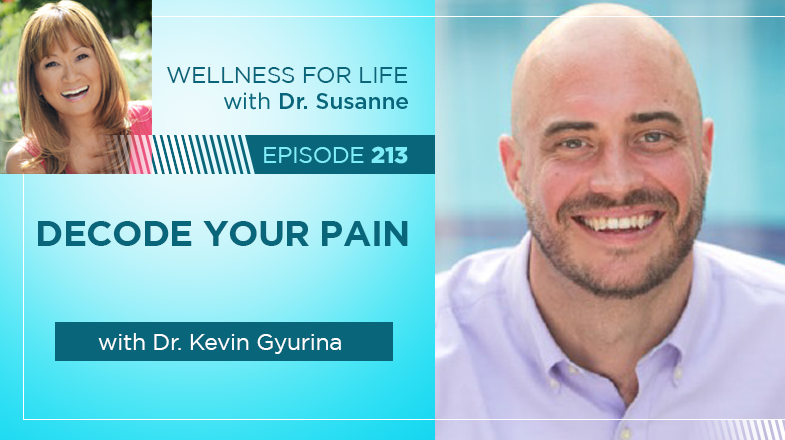 He is founder of the International TMJ and Sleep Medicine Network. 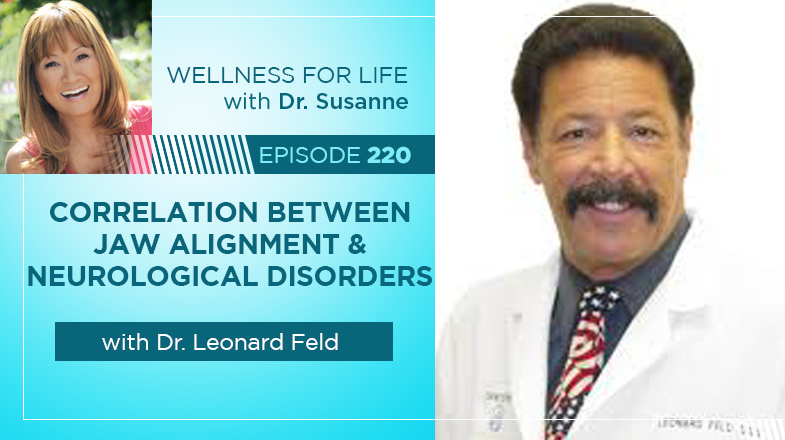 Dr. Feld is a Diplomate of the American Board of Craniofacial Pain, American Board of Implantology and the International College of Oral Implantologist. He is a member of the ADA, CDA, American Academy of General Dentistry, and the American Academy of Sleep Medicine, as well as many other organizations. 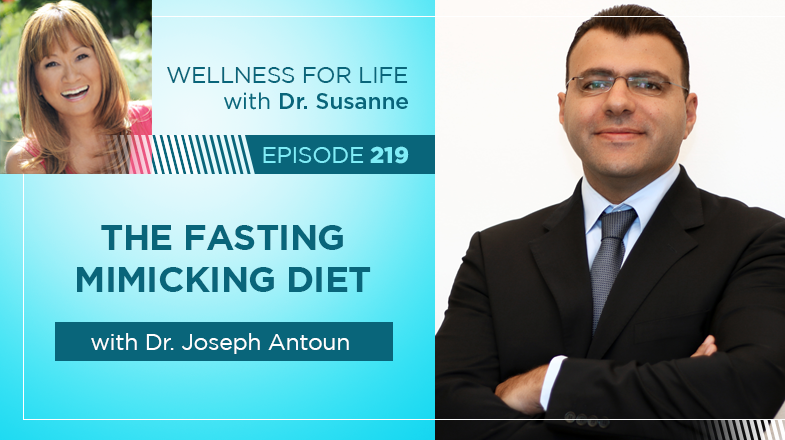 Dr. Joseph Antoun is the CEO and Chairman of the Board of L-Nutra, the leading fasting and fasting mimicking R&D and commercialization company. Dr. Antoun is also Chairman of the Board at the Global Healthspan Policy Institute (GHPI), Director of Health Policy at University of Chicago and fmr. Editor-in-Chief of The Journal of Health Systems Reform. Barry Singer, M.D. is the director and founder of The MS Center for Innovations in Care, one of the largest comprehensive care multiple sclerosis centers in Midwest. The center is on the campus of Missouri Baptist Medical Center in St. Louis. Dr. Singer has been in the BJC Medical Group since 1999 and remains on staff at Barnes-Jewish Hospital in St. Louis where he practiced full-time from 1999 to 2008. He is an Associate Professor of Clinical Neurology at Washington University in St. Louis. Dr. Singer graduated college from Duke University in 1988 and medical school from Columbia University in 1992. His neurology residency was at Cornell-New York Hospital and his two-year multiple sclerosis fellowship was at the National Institutes of Health. Dr. Singer has been an investigator in more than 25 clinical trials focused on new multiple sclerosis treatment options since 1994. 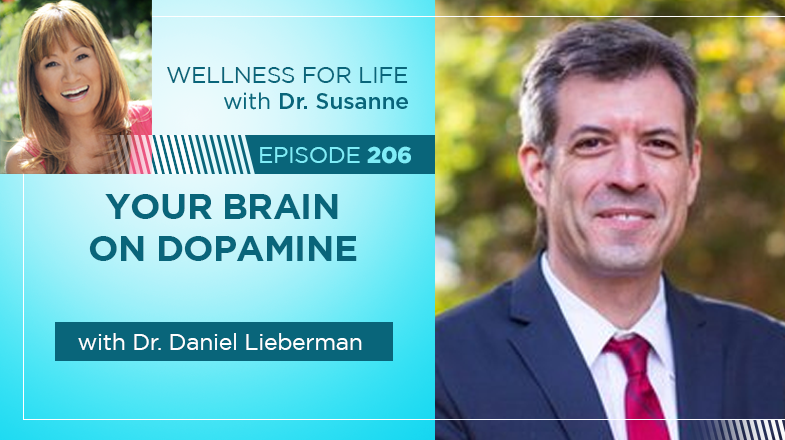 He continues to publish in the field of multiple sclerosis, present at global scientific meetings and serves as course director for national continuing medical education programs. 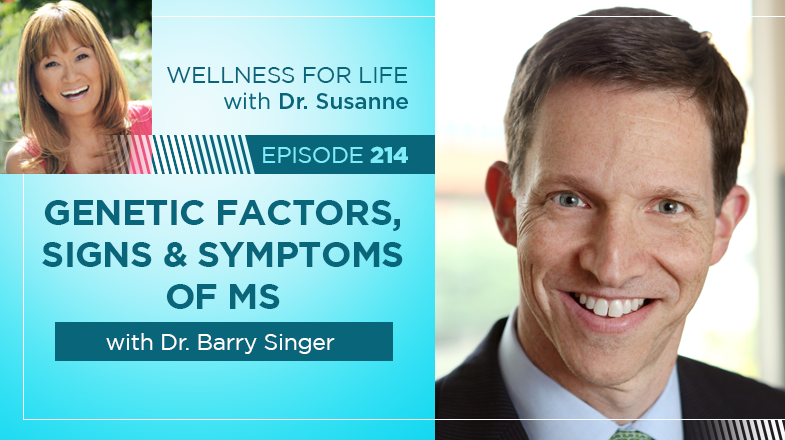 As a leader in multiple sclerosis and patient advocate, he lectures on MS throughout the U.S. and globally. In 2016, he was appointed to the Board of Directors of the Multiple Sclerosis Association of America and serves on the Executive Committee. He has also served on the health advisory committee of the Gateway Chapter of the National Multiple Sclerosis Society from 2000 to 2017 and is the recipient of the 2008 Pathlighter Award. In addition, Dr. Singer has received a Congressional Proclamation for MS Research in 2008. I’ve been seeing more and more anxiety cases in my practice lately, so I’m creating a couple of blog posts on the topic to help you better understand anxiety and how to best treat (and prevent) it. In this post we’ll quickly review what anxiety is and then dive into a patient story which highlights a disorder that’s linked to anxiety, one that most people have never heard of but many are suffering from. Anxiety in one or more of its many forms affects about 18% of the US population (40 million people) each year, making it the most common mental illness plaguing us today. And it’s no wonder, with our crazy hectic lifestyles… burning the candle at both ends… eating too much processed junk food… lacking enough quality sleep… and the list goes on. Our modern society puts us all at major risk of developing anxiety. Even young children are experiencing anxiety at record levels. Anxiety comes in many varieties and each one has its own specific signs and symptoms. There’s Generalized Anxiety Disorder (GAD), Social Anxiety Disorder (SAD), Post Traumatic Stress Disorder (PTSD), Panic Disorder (PD), Obsessive Compulsive Disorder (OCD), and specific phobias like extreme fear of spiders or flying in an airplane. Many cases of anxiety subside over time, especially with proper treatment. Other cases may be more of a long-term battle to manage. 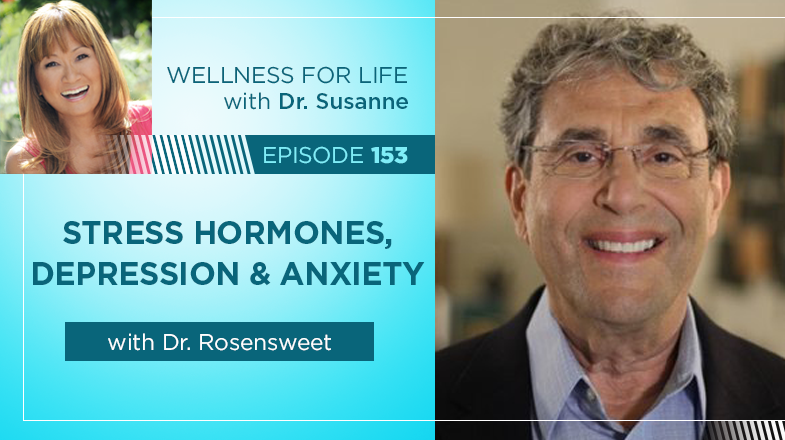 There are many different causes or triggers for anxiety, ranging from stress, lack of sleep, physical or emotional trauma, drug or alcohol use, nutrient deficiencies, and more. I want to share a patient story where nutrient deficiencies triggered severe anxiety in a teenage boy, along with how we completely resolved his debilitating anxiety. Justin was referred to me through his father, who was already a patient of mine. Justin was 17 years old and had been experiencing terrible anxiety, which resulted in him using marijuana excessively just to stay calm. Justin’s father thought that food allergies may be the cause of his anxiety, but after gathering more info during our first appointment, I suspected that Justin may have a genetic predisposition called Pyrrole Disorder, which is linked to various types of anxiety. Pyrroles are naturally occurring molecules in our body which bond with zinc mineral and vitamin B6 molecules. Pyrroles are normally excreted to some degree in the urine, but in people with Pyrrole Disorder (also known as Pyroluria), excessive amounts of Pyrroles are excreted too rapidly, taking valuable zinc and B6 molecules with them, leading to deficiencies in these critical micronutrients. Around 10% of the population has Pyrroles, but many are never tested for it. I had Justin tested and found out that he (and his father, it turns out!) has this condition which meant that he was most likely deficient in zinc and B6. Problem solved! So we immediately started him on nutrient repletion therapy to get his zinc (zinc gluconate and citrate combo) and vitamin B6 (active form Pyridoxal 5 Phosphate) slowly titrating up to optimal levels and within six weeks, his anxiety totally subsided and we were able to wean him off the marijuana. He found himself much better with his focusing and completing his school homework and started exercising four times per week. His father recently let me know that Justin was so excited with his “new self” that he was now applying to colleges – something that seemed out of the question when he was riddled with severe anxiety. 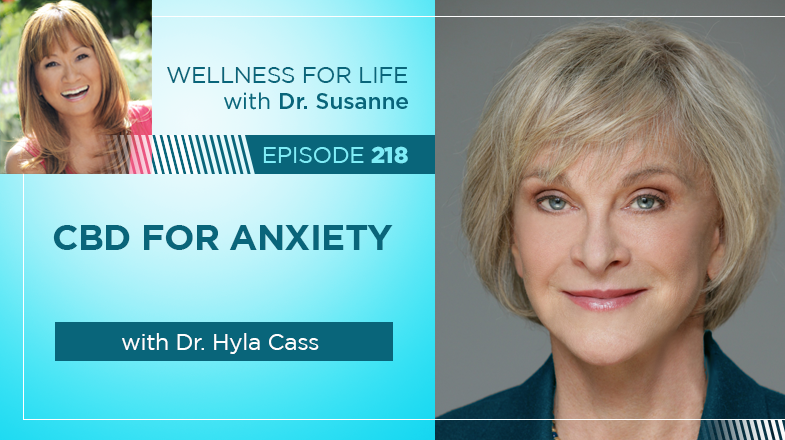 If you’re suffering from an anxiety disorder and suspect that you may have Pyrrole disorder, I use and recommend DHA Laboratory for lab testing. You’ll need to order the Kryptopyrrole Quantitative Urine Test and review the results with a qualified health professional to determine your next steps in terms of supplements and lifestyle changes that you can make. Click here to learn more about my services or to book a consultation with me to review your lab test results. Helping my patients to manage and reduce their anxiety is one of my specialties and I’d be honored to work with you or your loved one on this so that you can get back to feeling happy and relaxed as soon as possible. In my next blog post, I’m going to share my top strategies for naturally preventing and treating anxiety disorders. Unfortunately, it’s the norm these days to be prescribed a pharmaceutical drug by your doctor if you go in complaining of an anxiety issue. But this only covers up the symptoms rather than looking for the root cause of the issue and then treating it naturally before jumping straight to pharmaceuticals. Thankfully, there are many simple and effective ways to help ease anxiety, so stay tuned for the next blog post! Two major health issues drove Su to become engaged in health and patient advocacy. 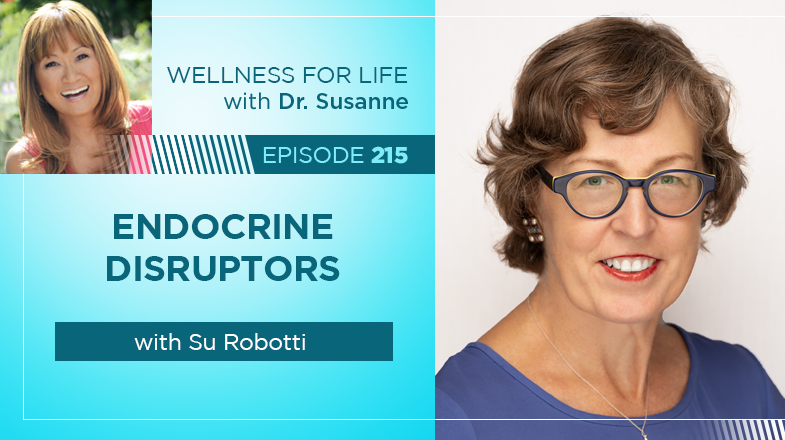 Robotti’s mother, like millions of other women in the 1950s and 1960s, took the prescription drug DES (diethylstilbestrol), the world’s first endocrine disruptor (a synthetic estrogen). 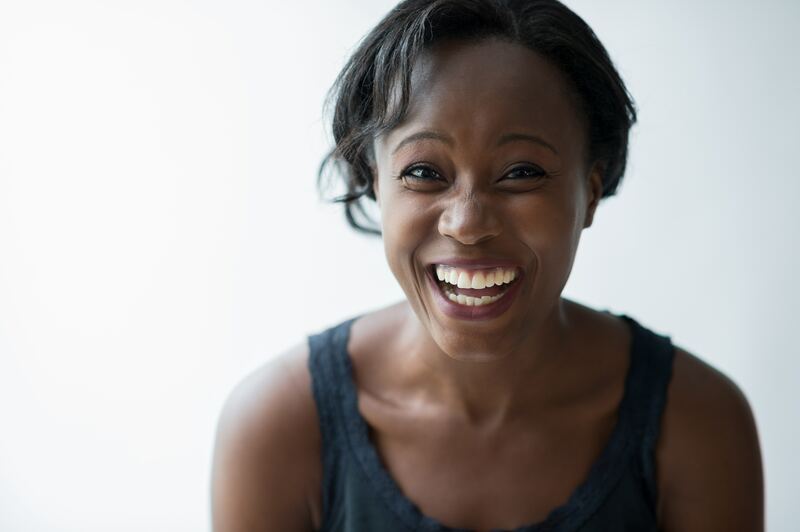 DES was given to women in pregnancy based on an inadequately tested theory that increasing estrogen levels in the body would prevent miscarriages and premature labor. The drug was widely used despite earlier publication of a study that linked DES to reproductive organ malformation and even cancer. DES was eventually taken off the market in 1971. When Robotti reached childbearing age herself, she discovered she was infertile due to DES exposure. Learning that she was infertile pushed her to join DES Action USA, a patient advocacy group. In 2010, her son’s physician prescribed Ritalin for his ADD, but was unable to explain the medication’s side effects. This prompted concern about the long-term effects of this stimulant on her son’s developing brain. These two personal experiences with side effects and long term effects of medicine prompted Robotti to form MedShadow Foundation as a means of bringing the issue of medication side effects into the public discourse.